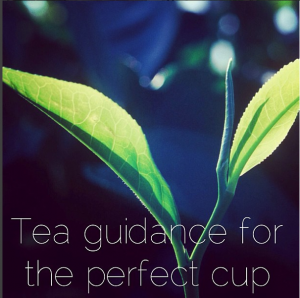 Choosing the right tea can be a daunting process, so we put together some information to help you get started. Black – Generally characterized by a strong taste and higher caffeine levels, black tea is the most popular tea in the world. Types of black tea include: Ceylon, English Breakfast and Earl Grey. Green – Gaining popularity due their highly touted health benefits, green teas originate from China and Japan. Most popular types of green tea include: Jasmine, Matcha and Sencha. Ooolong – A traditional Chinese and Taiwanese tea produced uniquely from the Camellia Sinensis plant picked and withered, they are processed through drying, rolling and steaming, followed by a short period of oxidation that turns the leaves from green to a reddish brown: Not quite as dark as a black tea, but more oxidized than a green tea. Oolong teas produce a crisp, clean, refreshing cup and a smooth even taste. Oolong can also be referred to by its original Chinese name, Wu Long, which translates to “dark or black dragon”. White – Known to possess the highest levels of flavonoids and anti-oxidants, white teas are delicate and rare teas, and among the most expensive. This category includes: White Peony and Silver Needles. Herbal teas and Tisanes – Fruity and delicate, these “teas” do not originate from a tea leaf. They are traditionally made from aromatic fruits or herbs as peppermint and chamomile. This category also includes: Rooibos and Honeybush Teas. Tea, like wine, varies greatly in taste depending on the type of tea you brew, the region of origin and whether it is a whole leaf or ground variety. Whole leaf teas are the least processed of all teas and will maintain the original oils and flavours which will be experienced on different parts of the tongue. Light tea, such as white is extremely aromatic and its taste will unfold on the front part of the tongue and should be enjoyed in small sips. Green teas are also first “tasted” through the aroma. Green teas are distinguished by their light, florid aroma with a light bitter note and tasted on the centre of the tongue. Black teas are known for their full-bodied aroma and pungent taste, est enjoyed in larger sips on the middle and back of the tongue. The aroma and taste of herbal and fruit teas will vary greatly depending on the type of tea, but they are often intensely aromatic and enjoyed on the middle and back of the tongue. Most teas are best enjoyed by adding freshly boiled water to the mug or tea pot. Green tea is the exception as boiling water will destroy the delicate tea. Water should be allowed to cool to approximately 70 degrees before brewing a green tea. Black teas are brought to the perfect temperature by adding a splash of cold milk after infusion. Start your tea experience with fresh, cold water brought to a rolling boil, except in the case of green teas. Preheat your tea pot to keep the tea warm longer. Choose your favorite whole leaf tea, adding one heaping teaspoon per cup. Choose your mug or pot. We recommend high quality porcelain products over ceramics or other materials which can leave traces of material and unwanted tastes in your tea. Porcelain will also maintain the temperature of the beverage for a longer period. Infuse in a tea ball, sieve or biodegradable tea filter for the recommended period – 30 seconds for green teas, 1-2 minutes for white teas, 3 minutes for black teas and 5 or more minutes for tisanes.